Today I have a special interview with Theresa Corbin, author and illustrator of a new colouring book for adults, also appropriate for teenagers. This book is called 'The Islamic Adult Coloring Book'. Parents, if you have a creative child then read how sister Theresa goes through the creative process of creating a colouring book. For everyone else, you must read this interview to the end, not only is it very interesting but there is a special gift for you and an announcement at the end. I've asked sister Theresa ten questions and these are her answers. Thank you for taking the time to do this interview and get the word out about the Islamic, Adult Coloring Book! I am New Orleans native and convert to Islam. I came to Islam in 2001 after many years of soul searching and religious study. I have written a lot about this journey for Aquila-Style.com, AboutIslam.net, and my blog, islamwich.com. I have a degree in English Literature. But honestly, it was not until I converted to Islam that my love for reading was kindled and I decided to study literature. Coming to Islam, I knew I had a lot of learning to do and reading was the only way I could learn my new faith and become an empowered Muslim woman (YouTube was not available back in those days when the dinosaurs still roamed). Nowadays, I still read a ton, and I have turned that love for reading and research of Islam—and everything under the sun—into a writing career. I am a regular contributor for AboutIslam.net and Al Jumuah magazine and, of course, my blog, islamwich.com. My writing has also been featured on CNN, the Washington Post, and a new publication for women, The Lily, among other publications. I am also a graphic artist. I studied art and design in college before getting a degree in English. I love being creative. I also love the structure that computer design programs lend to my art. I find designing graphics for my blog relaxing. Writing is hard and rewarding work. But when it comes time to make a graphic for my writing, I get all giddy and excited about the possibilities. 2. What made you decide to create a colouring book? 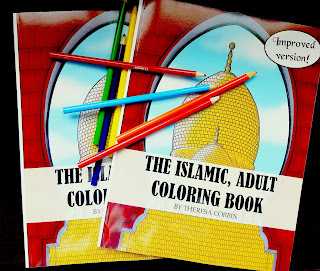 My husband (an American convert to Islam himself) was actually the inspiration for the coloring book (or colouring book for the non-’mericans). He has always helped me come up with new ideas for my work. Sometimes it is easier to have someone around to bounce ideas off. During one of our brainstorming sessions, he said, “you have so many graphics you have made for islamwich, why don’t you just turn those into pages of a coloring book for adults? Adult coloring books are huge right now”. I thought it was a great idea. But I also thought that there must be a million Islamic themed adult, coloring books on the market already. But after searching Google and Amazon, I found that I was wrong. There were many coloring books for very young children with an Islamic theme, but very few for adults and kids who are a bit older and want a challenge. Building on my husband’s idea of turning the graphics I had already created for my blog, I decided that an adult coloring book with an Islamic theme would need to speak about the basics of Islam and appeal to both Muslims and non-Muslims since there was so little out there. I would need to start from scratch and so the idea for The Islamic, Adult Coloring Book was born. 3. What was the process that you used to create the drawings? I really love being creative and working with computer programs to design and put together something that is visually appealing. In college, I took a lot of art and design classes. And I have never stopped being creative and using my knowledge of graphic design. For The Islamic, Adult Coloring Book, I tapped into that same creativity and knowledge base. I searched the web for the best images of masajid, tessellation, and other Islamic themed images. Once I had all the images that I loved, I created a procedure from what I learned in graphic design study to transform the images into line drawings, using Photoshop and a few other programs. I then wrote descriptions for the coloring pages to help non-Muslims learn about Islam. I self-published the first edition of the coloring book in early 2016. By late summer of 2016, I was approached by Papatia Feauxzar, Founder & President of Djarabi Kitabs Publishing. She wanted to know if I would be interested in re-publishing The Islamic, Adult Coloring Book with Djarabi Kitabs. I jumped at the chance to be a part of her amazing publishing house. Papatia made quick work of finding the very talented Naafi Nur Rohma to rework the images and make them even sharper and better than I could imagine. Naafi really did a wonderful job. Things went really quickly from there and we have published the new and improved version a little over a year after the first edition was published. 4. Where do your ideas for each colouring page come from? This was a challenge because the images that would become line drawings had to be complicated enough to appeal to adults and older kids, but simple enough to work for a coloring book. They also had to teach something about the basics of Islam, Islamic art, and history to Muslim kids and non-Muslims. And they had to be enjoyable for Muslim adults so they could use the coloring book to relax and refocus on deen. I started from the five pillars of Islam and decided what images would work to remind/teach people about them. Then I moved onto quotes, hadith, and Quran that I thought would help the Muslim colorer reconnect or form a deeper bond with Allah (SWT) and would also speak to a non-Muslim colorer. After this, I worked on images of masajid and other forms of Islamic art to help the colorer get in touch with the rich and diverse history of Islam. When I was a kid, I told anyone who would listen that I wanted to be an artist when I grew up. Back then, to me that meant that I would draw or paint. I didn’t realize how many ways there are for an artist to express him or herself and those ways have only increase with modern technology. Today, being an artist is so exciting because there are so many new and fun tools to learn and express creativity through. Using technology for my art has been something I never could have imagined when I was a kid, but it has been a blast. Today, my creativity has meant learning new things to express myself and it has branched into ever part of my life. It is not just limited to painting and drawing anymore. I feel like being a creative person has been a great gift from Allah (SWT). Not only is being an artist fun, I have also learned to use my artistic approach and creative thinking to help me find solutions to life’s problems. 6. What is the hardest thing about drawing? Answer: I think the hardest thing about drawing is learning when to stop. Often artists have a hard time deciding when they have completed a drawing or other piece of art. There is always the question of what else does this need. But also, sometimes it is addictive and it is hard to pull myself away from my work so that I can do other things I need to do. 7. What is the easiest thing about drawing? Answer: The easiest thing about drawing is that it can just be for fun. It can be whatever you want it to be and no one gets to say it is wrong or right. There is a lot of freedom in that. 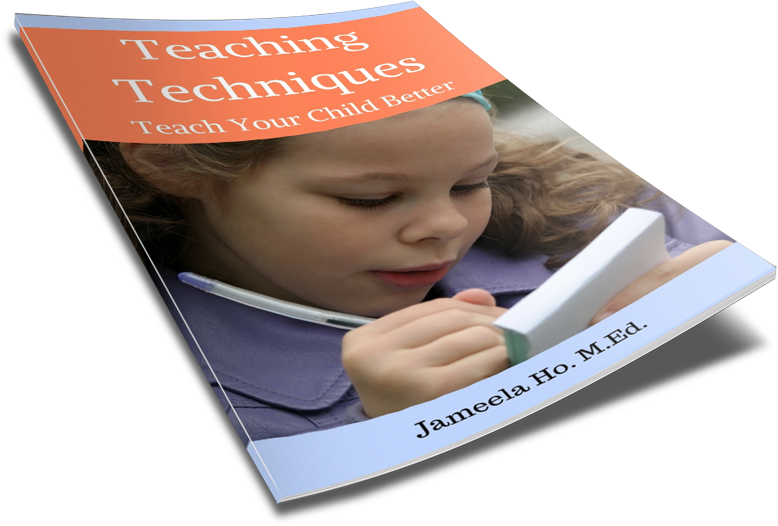 I think this is especially great for kids. 8. How long on average does it take you to finish a page? For the coloring book, it took me on average about 2-3 days to finish a page. It has always been difficult for me to not finish something in one day. It is hard to pull myself away from my art, whether it is an article, a graphic, or a drawing. But sometimes bigger projects like The Islamic, Adult Coloring Book just take time. I have taught myself through the years to be patient with the process. 9. Do you have any advice for children who like to draw? Absolutely! If you are a kid who loves drawing or any kind of creative activity, I am so excited for your future. You have so much ahead of you and so many opportunities available to you. Never stop practicing, learning, and exploring new ways to use the artistic talent and creativity Allah (SWT) gave you to make a way for yourself and make a better world. The doors are wide open! 10. How can readers discover more about you and you work? Theresa Corbin and Djarabi Kitabs Publishing have been very kind to gift the readers of Ilma Education with a colouring page from their book. I have chosen a special page from it as I feel that it has special meaning to this blog. The page is 'Rabbi Zidni Ilma'. Download the high quality pdf colouring sheet here. For teenagers and parents, if you would like a copy of this colouring book, not an ebook, but an actual hold-it-in-your-hands book then you have a chance to win one. Djarabi Kitabs Publisher will mail the winner the book, no matter where you are in the world, inshaAllah. Download the colouring sheet from above. Colour it in the best you can using only colour pencils, crayons, markers and paint (only physical items and not digital). Take a photo of your finished product and put it onto your Facebook account and tag me ILMA Educates or onto your Instagram with #ilmaeducation. Please friend me on Facebook and follow on Instagram. Due by the 18 August 2017.